A social media marketer without apps is like a mechanic without tools, a lumberjack without an axe, a captain without a ship, or a freelance writer without a caffeine addiction. Point being: You’re not going to get much work without social media apps. And it’s not enough to use any apps. Marketers need the right apps. These social media tools allow you to get things done effectively and efficiently no matter where you are. That’s why we wanted to show you our list of the best social apps for any and all marketing needs. 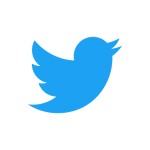 Note: I’ve included an iOS and Android link if the social media tools included a mobile application. 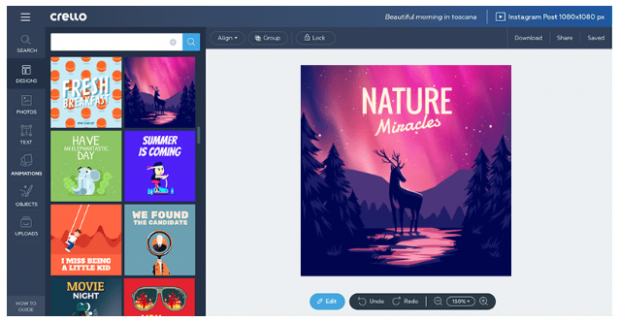 Crello helps social media managers create beautiful images and animations to their brand’s accounts. Best part: No design experience required. With more than 10,000 ready-to-edit templates and 30 formats, marketers can dive right in and create an image for their brand. Managing a Facebook page — or multiple pages — from a mobile device is a tricky task. Luckily there’s the Facebook Pages Manager App, which lets you manage up to 50 separate Facebook business pages from a smartphone or tablet. Fastory can help any marketer elevate their story content today. Captiona is a fantastic caption suggestion tool for Instagram and Snapchat. With the most popular brands on Instagram posting around five times per week, generating compelling captions can be difficult day after day. 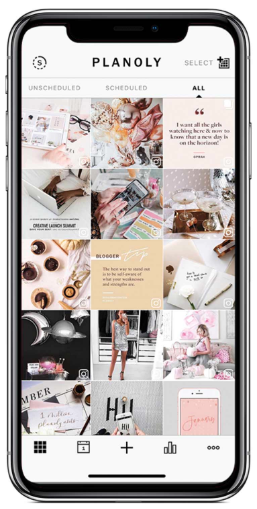 Marketers looking for a great way to view their Instagram and Snapchat analytics on one dashboard can look no further than Storyheap. 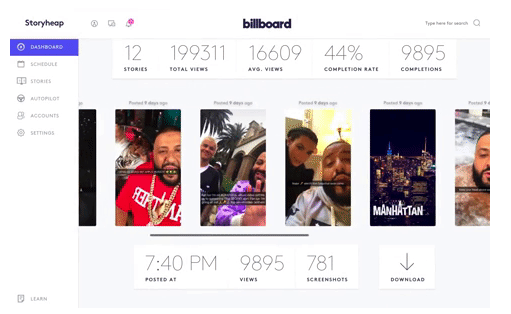 You’ll be able to view metrics such as open rates, views, and engagement for the image-based social platforms. Plus, with Storyheap Studio, marketers will be able to create and edit stories all on the dashboard. Hootsuite is a social media management platform that enables you to create, schedule, and publish messages to all the major social networks from one single dashboard. 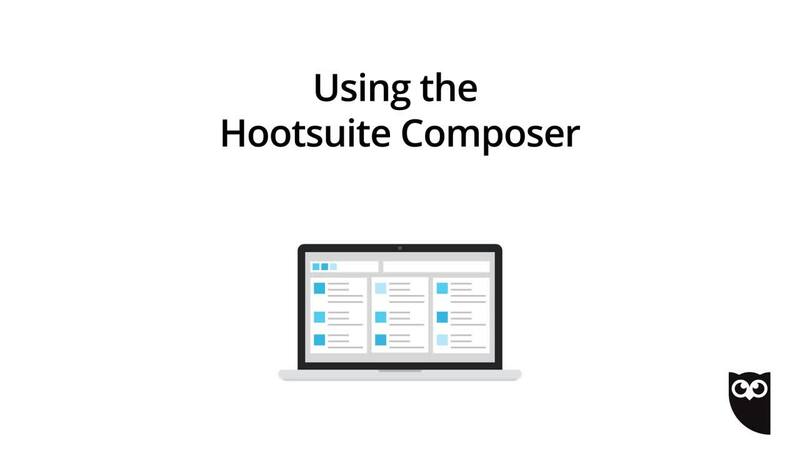 Composer is the tool within Hootsuite that helps with the “create” part of this equation. With Composer, you can not only write a caption and attach an image to your post as you normally would natively, but you can edit, add logos, and resize images to the exact proportions you need. Composer even provides prebuilt image specs for every social network. 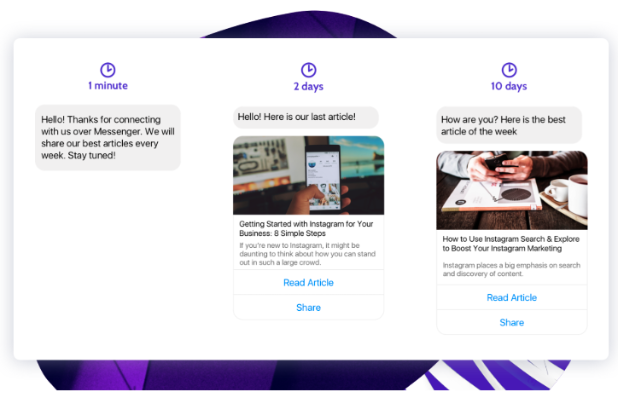 Botletter allows you to send newsletters and drip campaigns through Facebook Messenger. For the skeptics out there, fear not. Botletter boasts an 80 percent open rate on average. 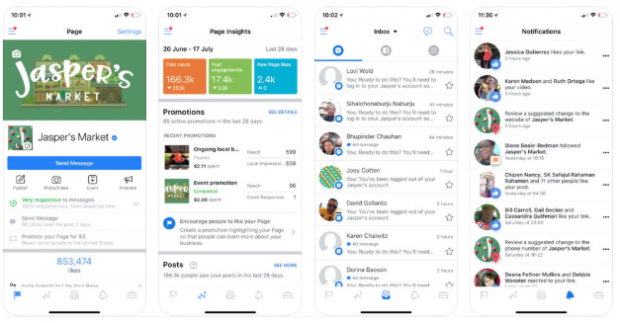 Compare that to the typical 20 percent of newsletters that get opened and Facebook messenger newsletters are a no-brainer. 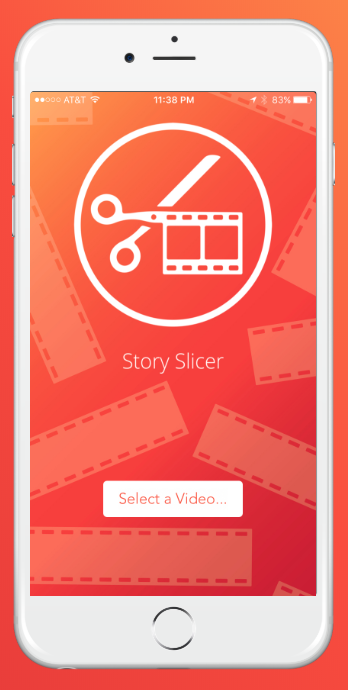 Story Slicer gives marketers the ability to post cut and edit videos for Instagram, Facebook, Whatsapp, or VK stories. Whether it’s a video you already have or one that you’re shooting directly onto Story Slicer, you’ll be able to edit videos of any size for your story. Its intuitive design and interface allows for a seamless editing process. Bonus: There’s no watermark or ads so your brand can remain on point. One of the biggest issues marketers encounter with Instagram is having only ONE link on the account — limiting your ability to link to different products, sites, and pages. 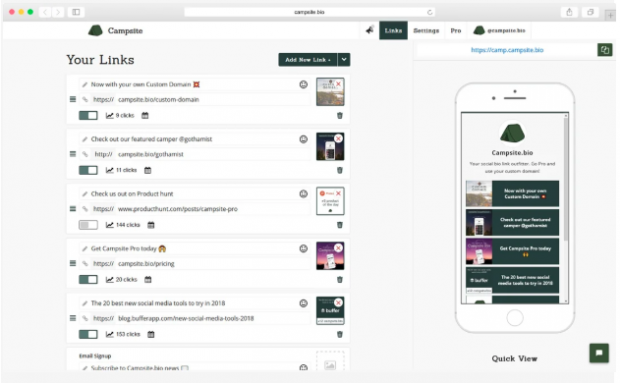 Campsite allows you to compile all your links onto one page, allowing you to send users to exactly where you want them to go. That means adding a single link to your Instagram bio and never changing it again. 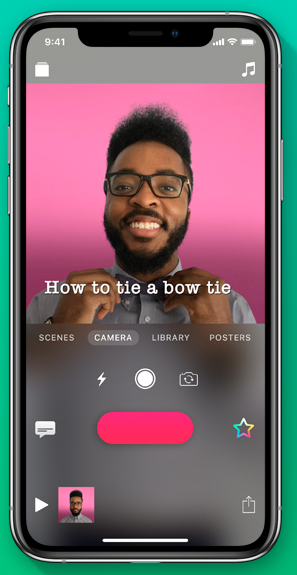 CutStory is a video editing app for Instagram Stories. It makes it easy to chop a longer video up into the required length for Instagram Stories (15 seconds maximum per clip). This way, you can repurpose longer videos—from your brand’s YouTube library, for example—and create more robust content without having to continually stop and start the camera. 87 percent of online marketers are investing in video content, and there’s no sign of this trend slowing down. “Adobe Premiere Clip is the industry standard for mobile video production and what I personally use on a daily basis,” says Hootsuite’s resident video expert Liam McLeod. 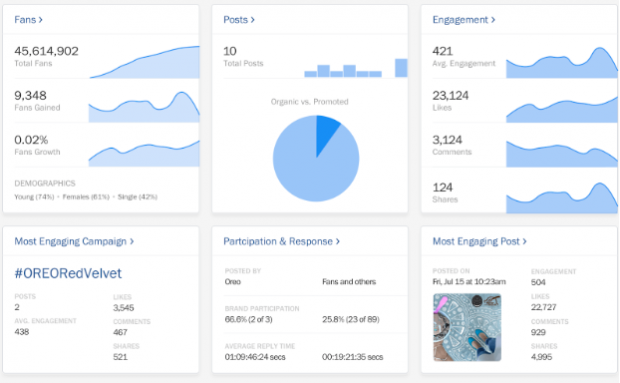 The Hootsuite Analytics platform is a customizable social media tool that collects social media insights and exports them into readable, actionable intelligence for social marketers. Hootsuite Analytics works across Instagram, Twitter and Facebook to identify trends and track growth so that you can make good choices on how to spend your marketing time and dollars. Useful for both competitive analysis and insight into your own campaigns, Unmetric Inspire allows you to analyze any brand’s social media content. 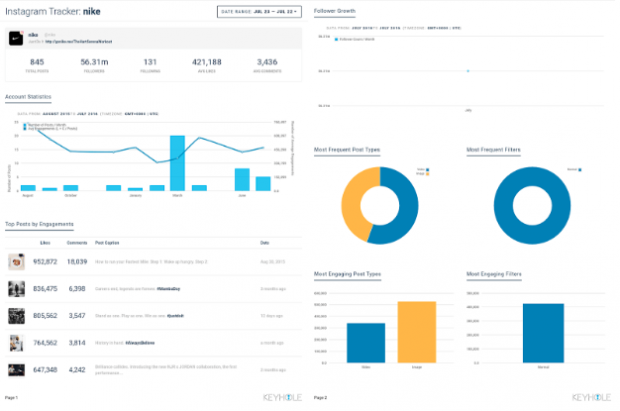 Unmetric uses AI to find sponsored posts from competitors, analyze conversions in a particular industry, and automate social media reporting. Using social media tools for business can make your marketing strategies come to life that much easier. With the right apps at your fingertips, you can create, share, and track effective social media campaigns from anywhere. 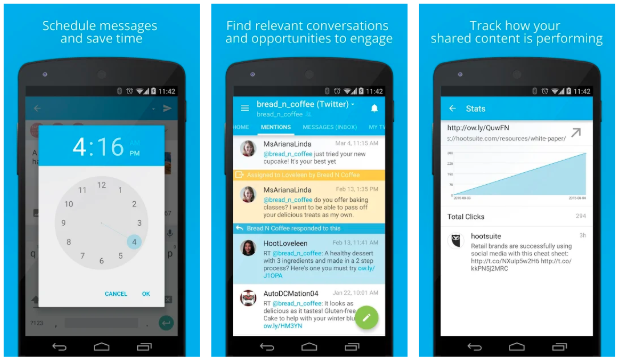 Increase your productivity with the Hootsuite mobile app. The easy-to-use social media app allows you to schedule, publish, and monitor conversations from anywhere. 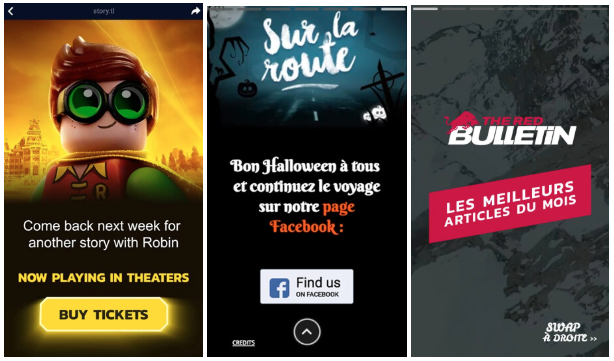 The post 21 of the Best Social Media Apps for Marketers in 2019 appeared first on Hootsuite Social Media Management.